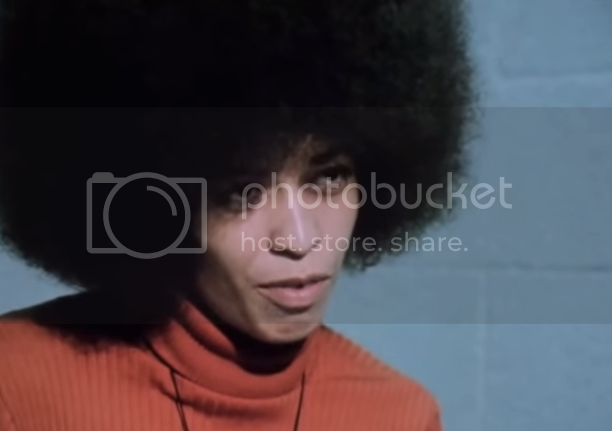 In this clip from "The Black Power Mixtape " Angela Davis discusses the legacy of racism and domestic terrorism in the United States. Davis was recently the subject of a documentary directed by Shola Lynch "Free Angela and All Political Prisoners." And when you live under a situation like that constantly, and then you ask me, you know, whether I approve of violence. I mean, that just doesn’t make any sense at all. Whether I approve of guns. I grew up in Birmingham, Alabama. Some very, very good friends of mine were killed by bombs, bombs that were planted by racists. I remember, from the time I was very small, I remember the sounds of bombs exploding across the street. Our house shaking. I remember my father having to have guns at his disposal at all times, because of the fact that, at any moment, we might expect to be attacked. The man who was, at that time, in complete control of the city government, his name was Bull Connor, would often get on the radio and make statements like, “Niggers have moved into a white neighborhood. We better expect some bloodshed tonight.” And sure enough, there would be bloodshed. After the four young girls who lived, one of them lived next door to me…I was very good friends with the sister of another one. My sister was very good friends with all three of them. My mother taught one of them in her class. My mother—in fact, when the bombing occurred, one of the mothers of one of the young girls called my mother and said, “Can you take me down to the church to pick up Carol? We heard about the bombing and I don’t have my car.” And they went down and what did they find? They found limbs and heads strewn all over the place. And then, after that, in my neighborhood, all the men organized themselves into an armed patrol. They had to take their guns and patrol our community every night because they did not want that to happen again.